Here, we will try to learn about the ‘real’ state of the real estate industry for homebuyers. Remember that buying a home is one of the biggest investments that you will ever make in a lifetime – so knowing the right timing is crucial. This is especially true with the new developments that will happen in the industry by the middle of the year 2010. For example, the income tax credits for homebuyers – whether it is your first, second or third time to purchase a home – will expire by April. 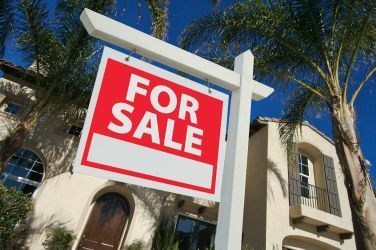 The Federal Reserve will stop purchasing mortgage-backed securities, an act which kept interest rates down during the height of the housing meltdown. The Federal Housing Administration will also increase the insurance premium that they charge on the mortgages that they insure. So when does it make sense to buy, and when does it make perfect financial sense to wait? Let’s enumerate first when it is a good idea to grab a great real estate sale. If you’re a first time homebuyer and a repeat homebuyer, you will be entitled to $8,000 and $6,500 tax credits, respectively. This is applicable for homes which have sale contracts signed on or before April 30, with the sale closed up to June 30. The other factors which may have an impact as to whether you should buy a home early or not are the following: – The federal government’s purchasing of the last $1.25 trillion in mortgage securities which will conclude on April 30. This is what kept mortgage interest rates at record lows in the past year or so. 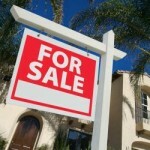 – During the first part of April, the FHA will increase the mortgage insurance premiums on all loans from 1.7% to 2.25%. This applies to FHA-backed loans which make up a good percentage of the house buying market. After learning about the situations when homeowners should grab the opportunity to buy a home, when does it make sense to wait? First of all, remember that you should never rush the act of buying a home just because you will save a couple of thousand dollars. This is especially true if you think that a real estate property is still not suited to your tastes, or the shelter needs of your family. There are also indications that the real estate rates in some areas may continue to weaken throughout the rest of the year, so waiting for a few months – or until you have your finances under control – is the right thing to do. More importantly, if you have a poor credit rating or no credit history at all, you will definitely be better off re-establishing your credit rating. This way, you will earn more financial benefits in the long run including a lower interest rate and a lesser monthly mortgage premium. To sum it all up, you should consider the federal government incentives and the April deadlines when buying a home. If you think that catching up with the April deadlines would make a huge difference with the interest rate and monthly mortgage premium that you would have to pay – then by all means, purchase a home. However, if you do not have a good credit score yet or if you do not have the funds for the 20% down payment – you may want to wait for a better time to purchase a home. Buying a home is not a decision that you would like to rush into. If you feel that the market trends are against you , there is absolutely no harm in waiting until you know that the time is right – so that you can purchase your dream home. About The Author: Rob K. Blake, mortgage expert and author, educates mortgage shoppers on finding local providers by state like Florida Mortgage Brokers and Lenders and provides reviews of national companies like AmTrust Bank Mortgage. Previous PostLive and Enjoy Your Life While Saving MoneyNext PostOne Minute Money Lessons: What’s the Best Way to Pay for College?